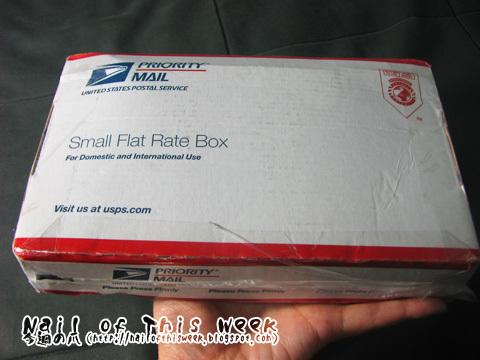 Haul #001: Small pack from USA : Nail of This Week. ...added few more stuffing = nail polish! 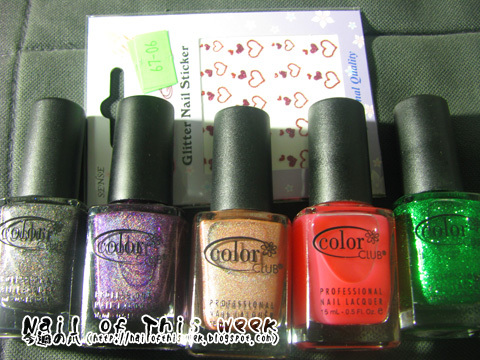 This moment I decided to buy only color clubs, because I think color club is one of hard-to-get polish brand here and I really wanted to get their well-known holos and others for long time (L to R: Revvvolution, Wild at Heart, Love ’em Leave ’em, Rock candy, Object of Envy). But while I was sticking polishes in the cart, I saw the note as “not holographic color” on some color club holos (e.g. Worth the Risque), and I was wondered if they changed formula or not…so I only picked up the so-called holo color without such a note, and these look fine at least through the bottle (especially Wild at Heart). Anyway, can’t wait trying all of these, including nail care products…I love working on my nails!